Your little girl has been exploring the corn fields adjacent to your new house for a while now. She’s having fun, and there’s a cool old barn way out on top of the hill that is worth trying to get into. Except, recently she’s realized there have been some young hooligans around that have been trying to make crop circles in the field, and they've been killing corn as a result. That’s not cool at all. 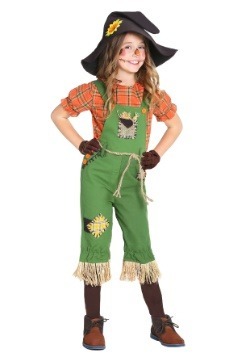 “What’s a scarecrow that that scares boys?” she asks you from time to time. 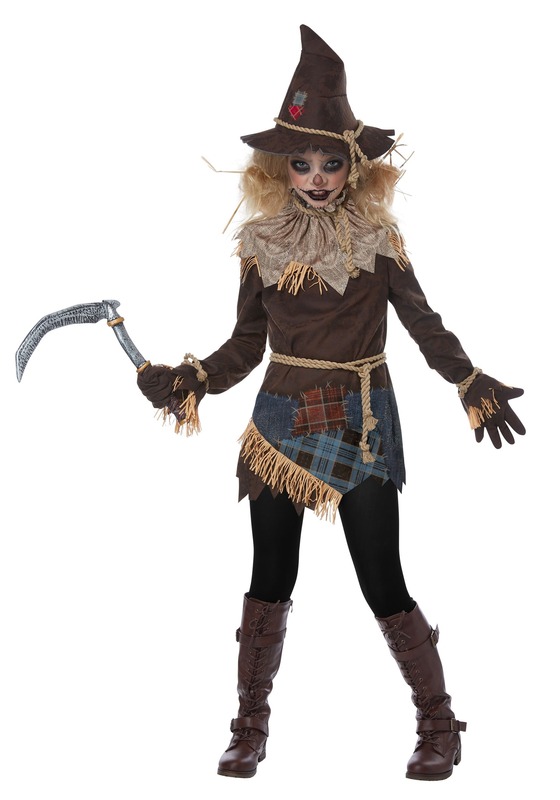 Well, now you have a definitive answer: this Girls Creepy Scarecrow Costume is sure to keep those pesky kids out of your fields! This may not work on crows, but it sure will scare away anyone who might be trespassing. Can you even imagine how scared they’ll get when your little girl crawls out of the dark stalks of corn in the middle of the night? 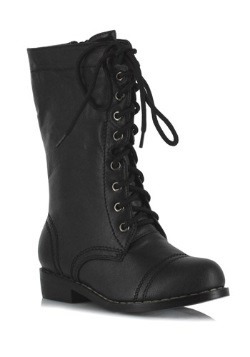 They’ll scream so loud and never return! In fact, we're pretty sure we would, too! 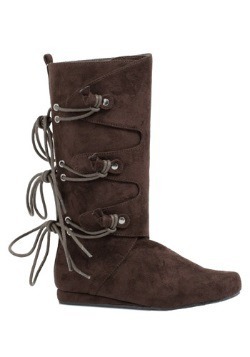 This terrifying outfit features a faux suede tunic with jagged edges, printed patches, and appliqued fringe. 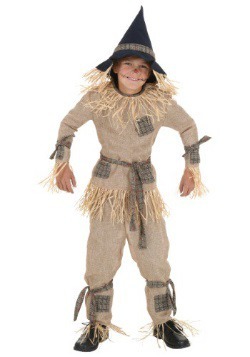 The included jagged collar adds an effect of being stuffed full of hay, and really enhances the creepiness. The rope belt can be tied as desired, and the foam hat has printed patches to complement the tunic. Finally, the scythe has a 12” long plastic handle and 10” long vinyl blade and is the perfect accessory to finish the haunting look. Boots are not included, so make sure you pick up the appropriate footwear for your kiddo...cornfields are notorious tough on bare feet! Good on your little girl for making the corn field a trouble-free place once and for all. It sure was entertaining to watch those boys scatter. 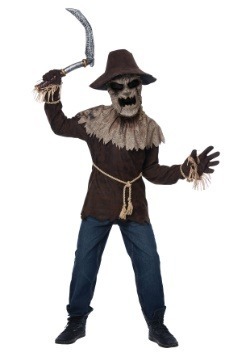 Maybe they’ll even have to change the name of this costume to Scare-bro! We’ll make sure to run that idea past marketing!